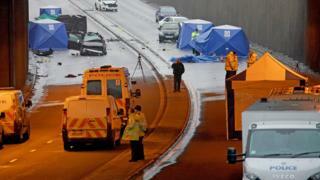 Home Latest News Why do people take pictures at crash scenes? Fatal accidents and disasters are, unfortunately, nothing new. What is new is people coming across these scenes and taking out their smartphones to photograph the dead. People can lose their jobs, reputation and even liberty over it. So what makes them do it? At the end of November, a police officer was sacked for showing his colleagues footage from the aftermath of a fatal crash between a motorbike and lorry. Andrew Parry transferred the images from his body cam to his mobile phone and played it to peers, who reported him to bosses. Staffordshire Police said his actions amounted to “disrespect” and he had betrayed his “responsibilities” to the deceased. One might expect more of a police officer, but such acts are not uncommon. There were similar incidents throughout last year, although in these police criticised the public rather than one of their own. In August, a 30-year-old woman was killed in a crash in Derbyshire. This time, photos of the scene were not only taken but posted on Facebook. Police described the images as distressing. 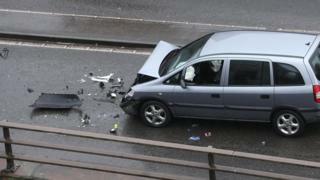 The same term was used for onlookers’ photos of a crash which killed six in Birmingham just over a year ago. These pictures were circulated on social media too. After inquests in May, a victim’s family slammed those responsible for the images, saying they had lost their humanity and robbed the dead of dignity. Had they lost their humanity? Was there some missing filter; a moral compass gone awry? And can the dead, once photographed, be a victim beyond the circumstances which claimed their life? Image caption Was taking pictures of those killed in the Grenfell Tower fire a “mindless” act? Dr Lasana Harris, an associate professor in experimental psychology at University College London, has researched the behaviour of people at emergency scenes. 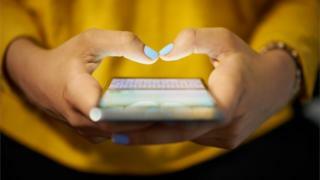 He has a theory on why people reach for their phones – it’s not so much what goes through their minds, it’s what doesn’t. Dr Harris thinks the recording of the dead or the injured is accordingly “mindless” – people pull out their phones automatically, for scenes “good, bad or indifferent”. But can such actions be explained away so easily? Omega Mwaikambo took photos of a body recovered from one of the UK’s highest profile disasters – the Grenfell Tower fire. His explanation to BBC Newsnight seems to underscore the very mindlessness Dr Harris explores. Using an iPad, he began photographing – at a distance – a plastic-wrapped corpse in the courtyard at his nearby flat. Then he lifted the sheet to take close-ups. The reasons, he said, eluded him. Mr Mwaikambo then posted pictures of the body on Facebook. Images of crash scenes taken by professional photographers for use in the news rarely feature bodies, though broadcasters will occasionally choose to show the dead in the context of some stories. The reports come with warnings and the displayed images are brief and rarely graphic. Should outlets then share their reports on social media, the tweets and posts do not feature the pictures. That is in contrast to the online sharers whose grim imagery is presented starkly and at a fixed point, leaving those who stumble across it no choice in whether they see it. Notions of privacy might seem straightforward, but the concept is arguably muddied once applied to photos taken after death. Can a body be said to have had its privacy invaded? The law’s view on this is simple – it is concerned with protecting the public from what it deems indecent, rather than protecting those who have died. And it means that while the photography is not prohibited per se, the sharing of distressing imagery can be. It is the convergence of indecency and distribution the law dislikes. In the case of Mr Mwaikambo, he was sentenced to three months in prison after pleading guilty to breaching the 2003 Communications Act by posting offensive images on social media. The first count involved two photos and a video of the body bag, the second related to five photos of the person therein. In the case of the Derbyshire crash, police made an arrest on suspicion of offences under the associated Malicious Communications Act, although there have been no charges. PC Parry – whose actions did not involve a social media component – was convicted of misconduct in a public office, for which he was given a suspended 12-month prison sentence. But should the “unthinking” photographer have an explanation for sharing such imagery? He believes this is where the issue starts to merge with the so-called bystander effect – the name given to incidents in which a group ignores a needy person, because, psychologists say, they fear other bystanders judging intervention. According to the theory, people assume that if no-one else is acting, there’s no need to. And taking cues from each other, the larger the crowd, the greater the chance of inaction. These elements seem to feature in an “air rage” incident on a Ryanair flight in October. 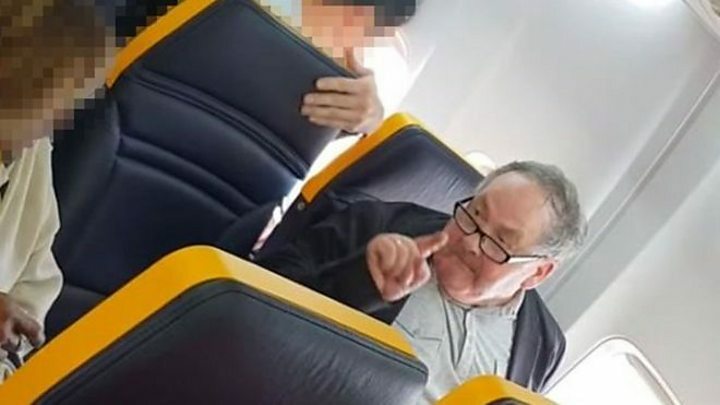 One passenger began racially abusing another in a row over seats – an exchange filmed and posted on Facebook by fellow passenger David Lawrence, who said onlookers were “frozen”. 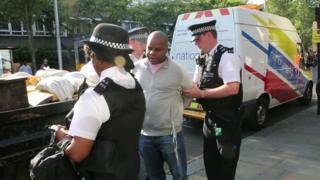 The footage shows a man eventually intervening. But Mr Lawrence suggested his more passive approach had its own usefulness – his post went viral, and thus he helped “the world know” the victim’s story. 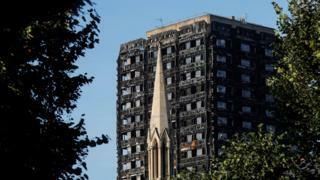 “If I had stepped in I don’t think you would have seen the footage that I captured,” he told the BBC. 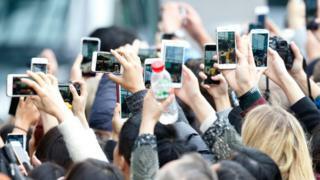 There can even be real-time benefits to such filming, believes Jackie Zammuto, a project manager at Brooklyn-based Witness. 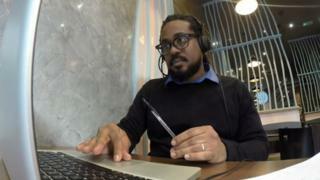 The organisation teaches people how to shoot video on phones to document injustice. She told BBC Radio 4’s The Digital Human that by filming, and being seen to film, tension can sometimes be defused and attacks deescalated, despite a lack of physical intervention. But can it help at a crash where someone is seriously hurt or worse? It’s hard to imagine how onlookers helped by filming a bruised and shocked police officer after a crash in Coventry. Dr Harris thinks for graver scenes, saying a photo can help is an act of self-deception by those who regret their actions. “You can come up with explanations – ‘I was documenting’ – to preserve the belief you’re a good person,” he says.